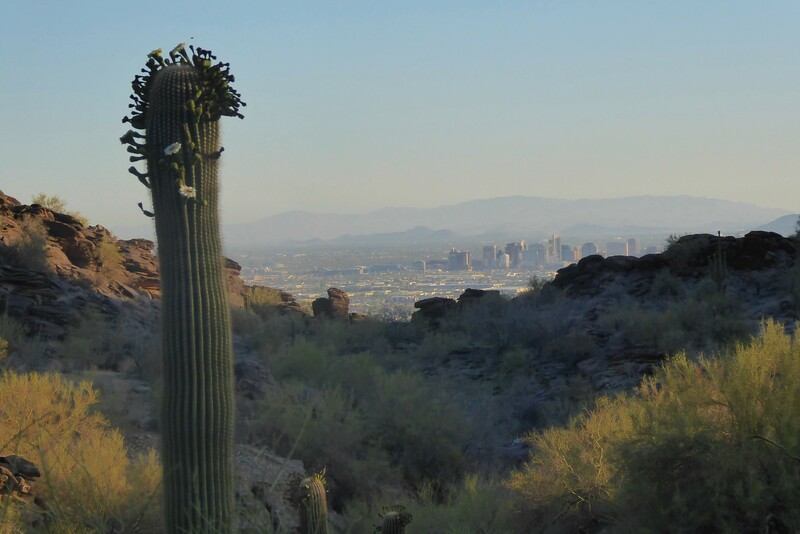 Saguaro cactuses define our Phoenix desert landscape and there is so much to learn about them. Below are a few fun facts to know about these lovely giants that hang out on the hiking trails with us. This cactus is only found in Sonoran Desert, (Southern Arizona and Western Mexico). They can live up to 200 years! 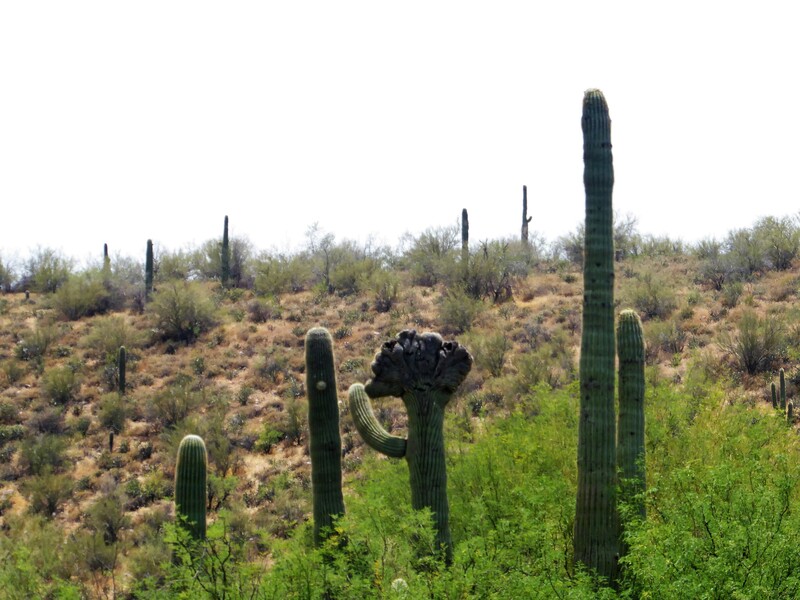 A rare find is the crested saguaro. This is a type of mutation that occurs and if you see on out in nature, it’s considered good luck! 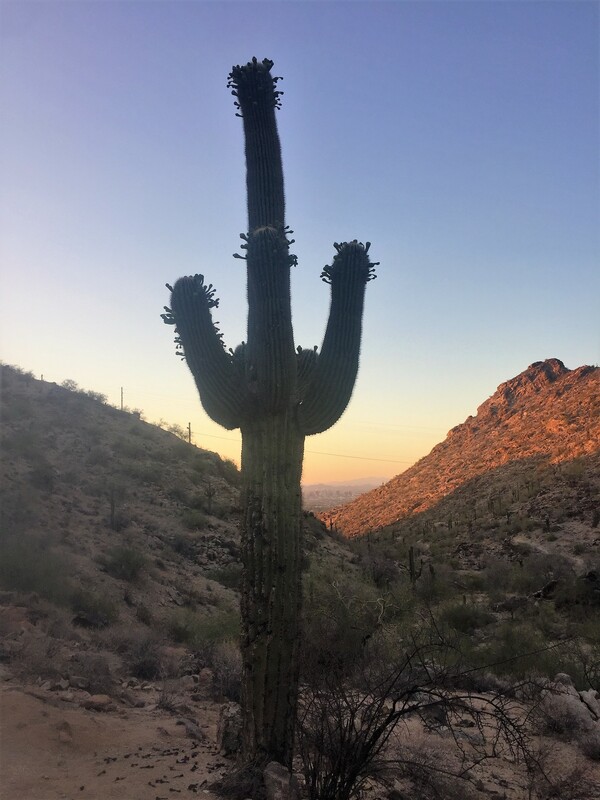 So next time you’re hiking along with the saguaros stop and pay attention to those amazing desert plant life which is so silently watching you hike. I do love those saguaro’s. They are indeed special! What a great crested saguaro – wow!